Wonder Spouse and I have been privileged to live on the same five acres of North Carolina Piedmont for 30 years. 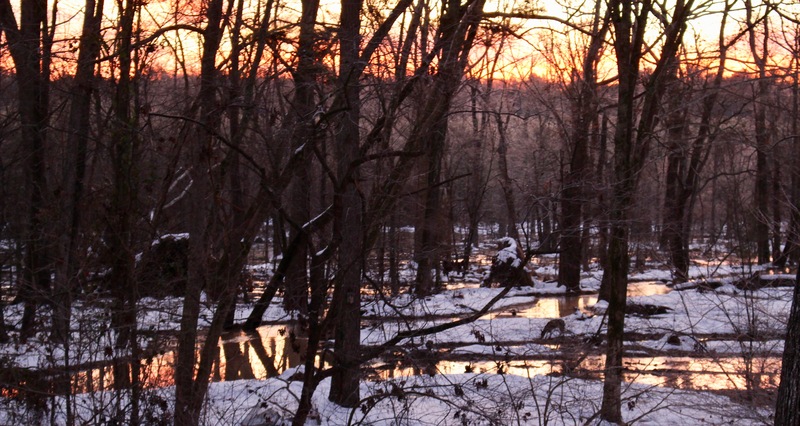 When I first saw the land covered in melting snow on a January day in 1989, I knew enough to recognize its potential. 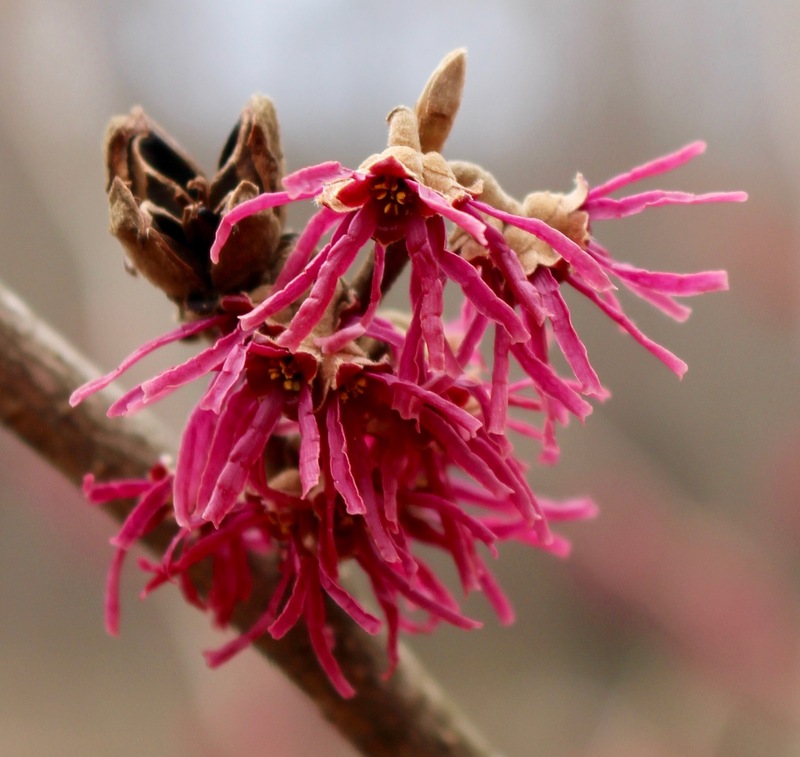 A diverse array of mature trees offered clues about soils and microclimates. In my mind’s eye, I could imagine the native species that should be present, and others that would do well if I added them. When some birder friends of ours stopped by last fall and walked our land with us, they said they observed/heard about 60 bird species during the course of our walk. The high number is in part due to the growing beaver-built pond and wetland off our property on the other side of the creek. The raised water levels have attracted all manner of aquatic species of birds, mammals, reptiles, and amphibians. Many of those species occasionally wander over to our side of the creek to explore. 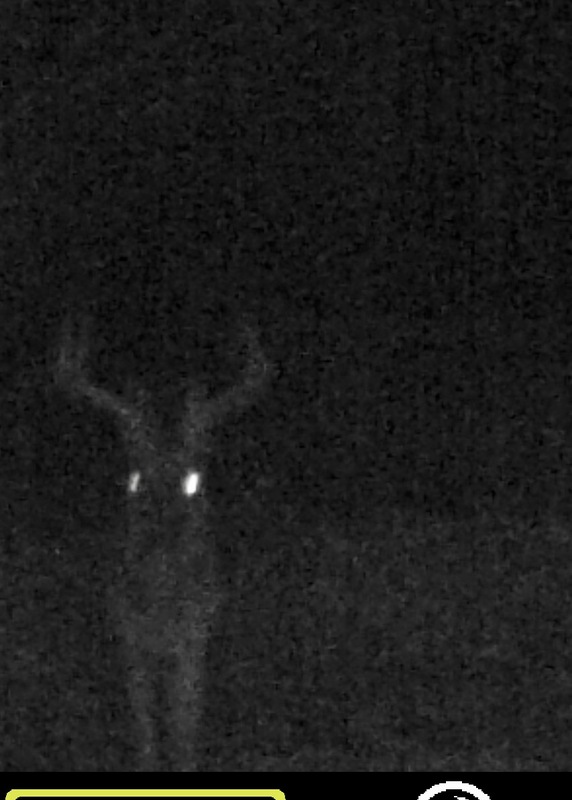 I know this for a fact now, thanks to the critter camera that Wonder Spouse gifted me with this past January. We attached it to a tree and aimed it at a path along the creek, where we often see deer tracks. 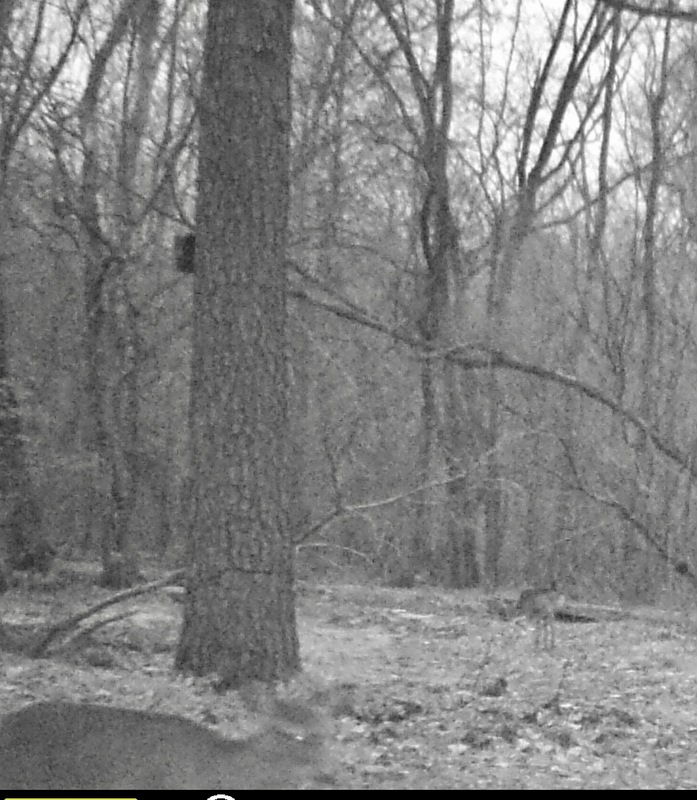 Thanks to the camera, we now know that many species besides deer routinely travel that path. I realize that most folks aren’t lucky enough to live beside a healthy wetland, but even a quarter-acre lot possesses microclimates created by directional exposure and topographic variations. 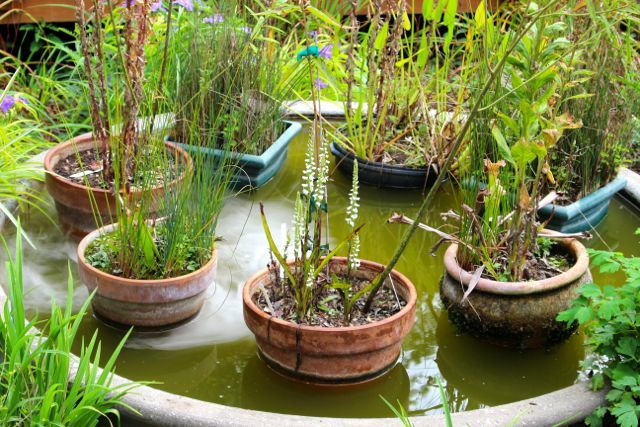 You can instantly serve more native wildlife guests by providing a small water feature, such as an ornamental pond. We have such a feature at our front entrance. Every year, frogs from the wetland find it, chorus lustily, then deposit gelatinous eggs that become tadpoles that eventually morph into new frogs. Amphibians are always on the lookout for such ponds, because they are usually protected from at least some of their predators, raising the odds of success for tadpoles to become frogs. I partially immerse pots of water-loving native plants in my water feature to add visual interest and to provide cover for amphibian visitors. 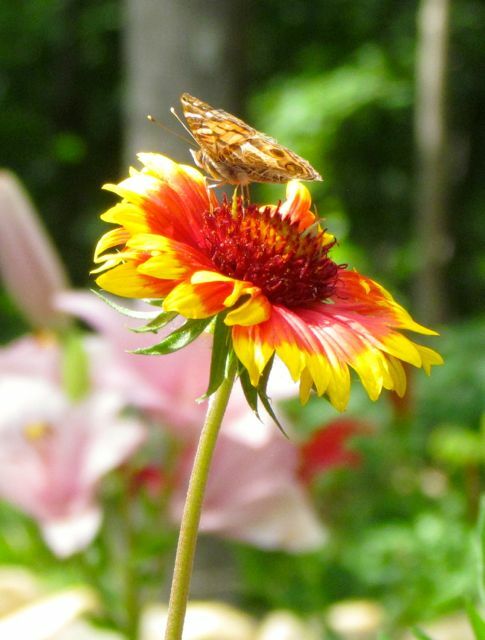 On this Earth Day 2019, I encourage all my plant-loving readers to revisit your landscape designs for additional opportunities to provide habitat for native wildlife. 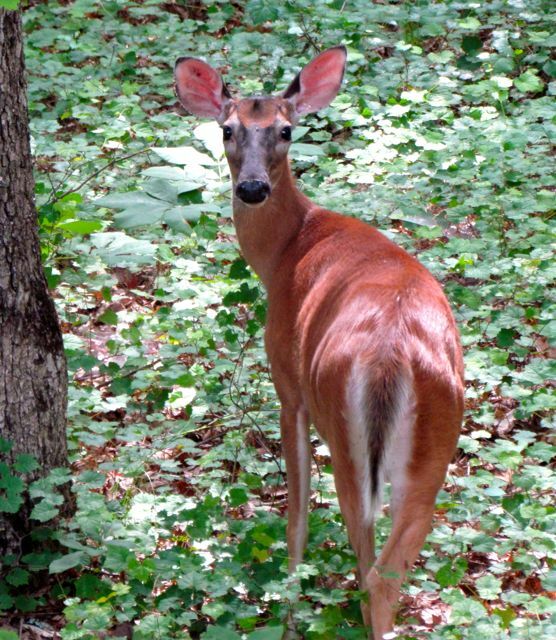 Rapid urbanization of the southeastern US Piedmont region is destroying many areas that once sheltered our wildlife. Ecological degradation caused by environmental pollution, invasive non-native species intrusion, and climate change-related weather shifts is causing dramatic reductions in our native wildlife from insects to birds to larger animals. Every human home landscape can make a critical difference to the continuing survival of our native wildlife. 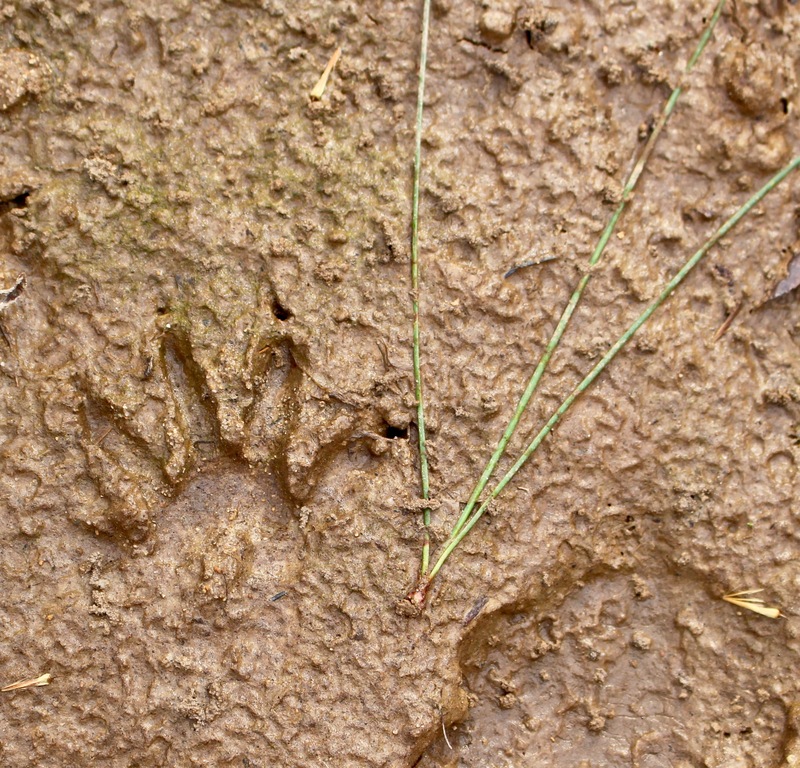 A river otter, likely an adventurous juvenile, briefly wandered onto our property on March 10. 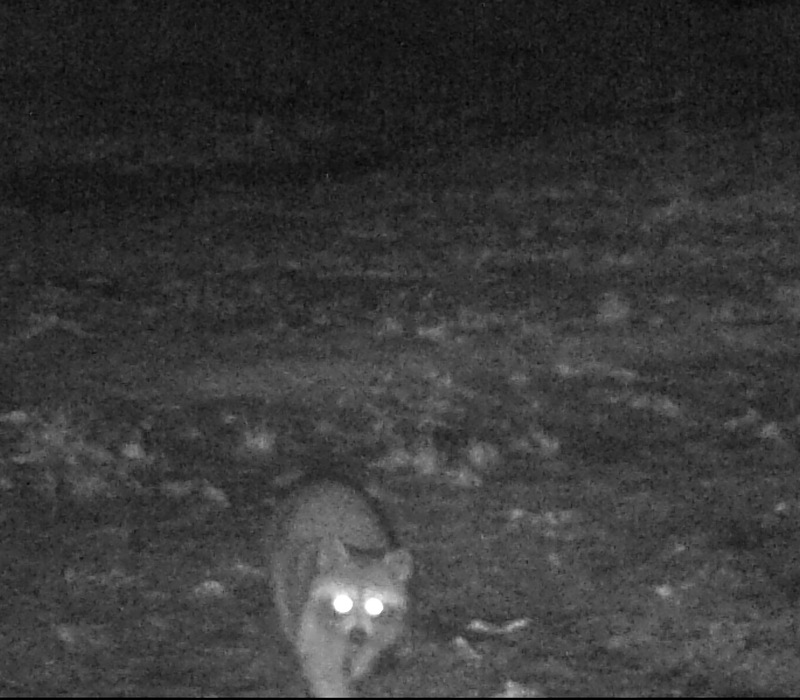 Yes, that’s a coyote caught by the critter cam at 7:00 a.m. on April 2. 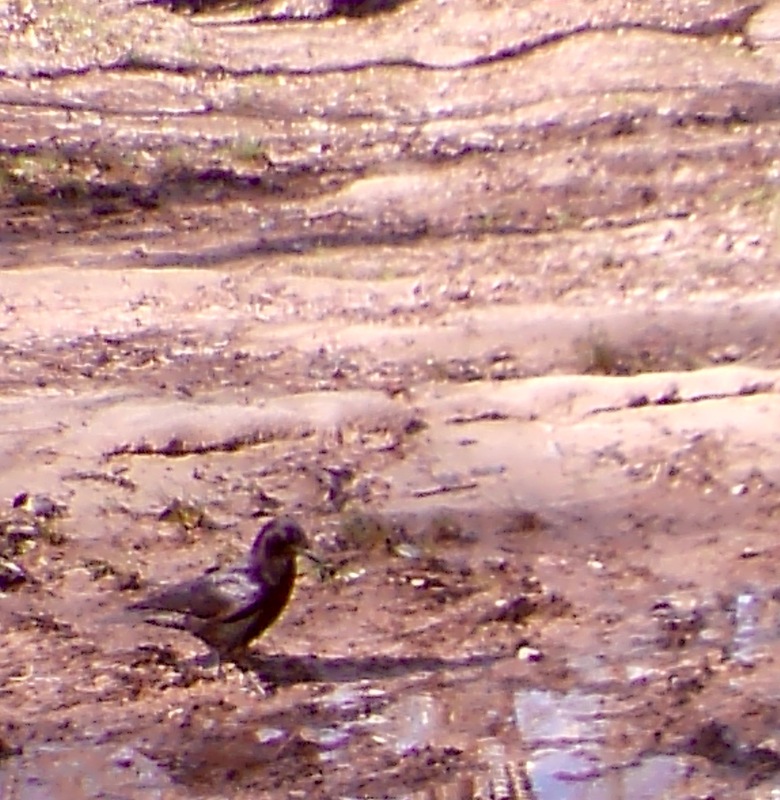 You may not see quite the diversity of species my critter camera has captured on my five acres, but you will notice an uptick in beautiful songbirds if you plant native shrubs that provide food and cover and perhaps add a few nesting boxes and a bird bath or two. 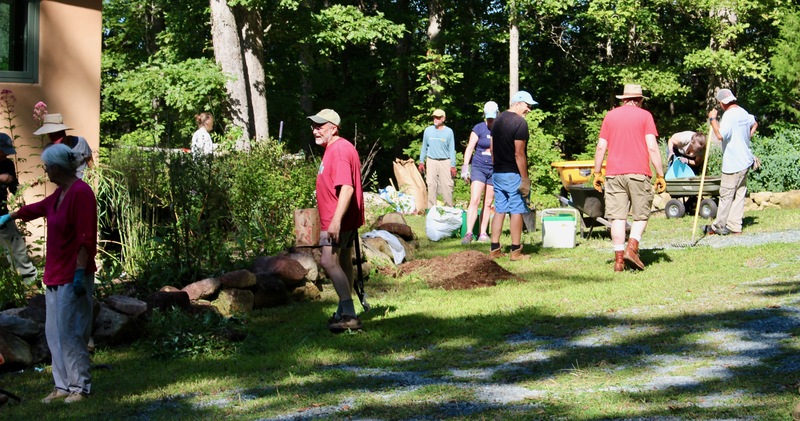 Those same shrubs will provide habitat for the caterpillars songbirds use to feed their nestlings. But they won’t eat them all, meaning you’ll see an uptick in butterflies and moths. 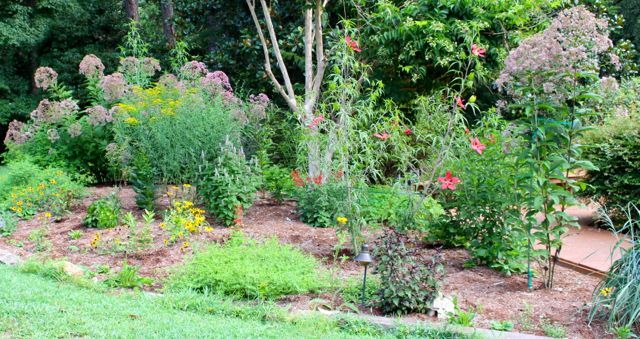 A pollinator garden is a beautiful way to invite native wildlife into your yard. 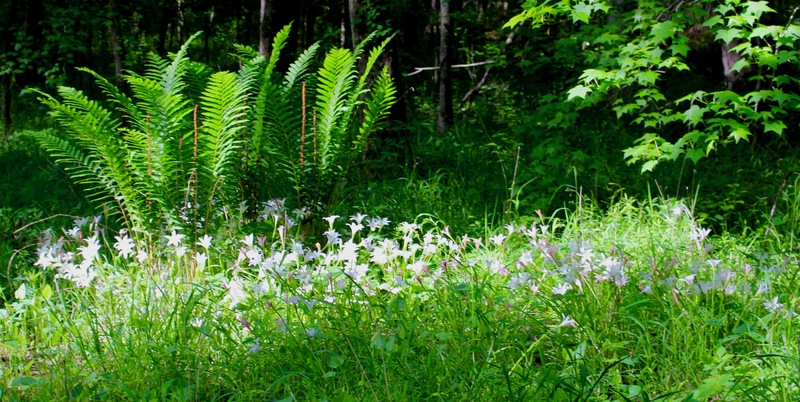 Your yard will come to life before your eyes. 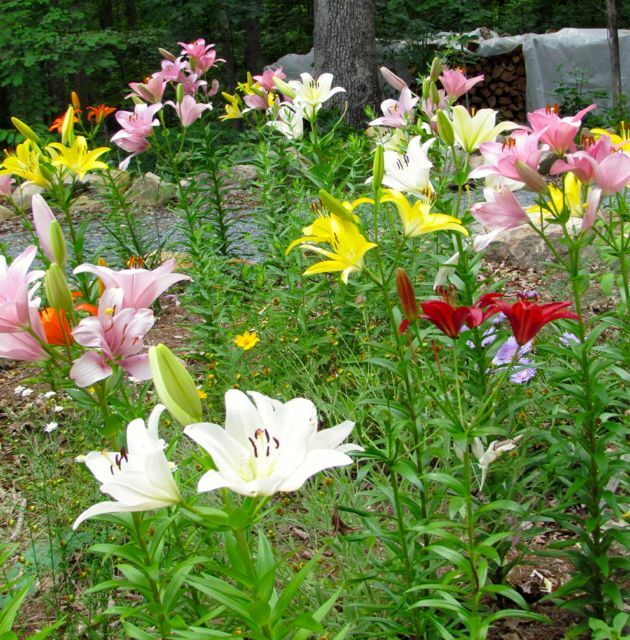 Your landscape will be vibrantly beautiful and healthy. And you will have the satisfaction of knowing you are doing your small but vital part to keep the blue-green jewel we call Mother Earth alive and healthy. Green ash tree with seeds on my floodplain a few years ago. Those of you who have read this blog for a while may remember when I first wrote about the invasive non-native insect called Emerald Ash Borer here. 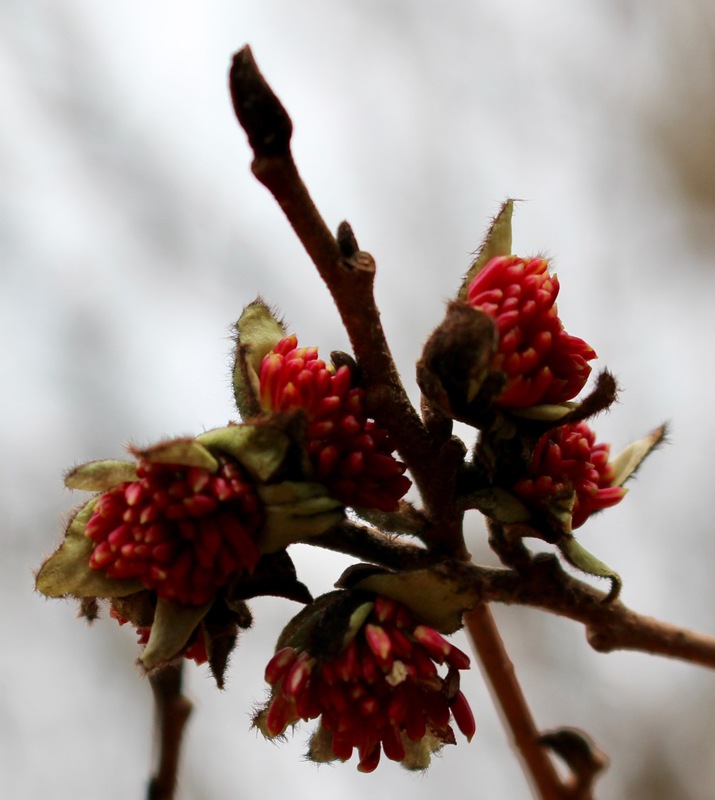 This insect species is killing almost (maybe all) ash tree species in North America — no joke. It started in areas like Canada and Michigan, and has been marching steadily southward ever since. Its occurrence is widespread in North Carolina. 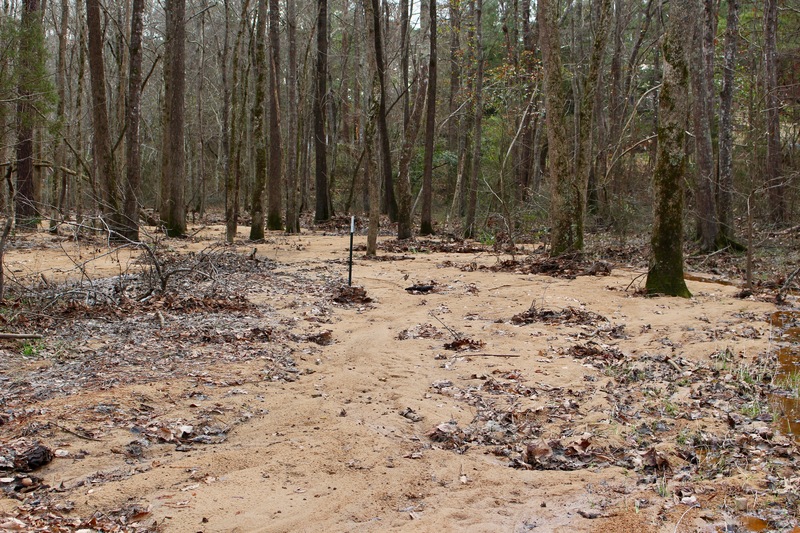 Dr. Kelly Oten, Forest Health Monitoring Coordinator for the North Carolina Forest Service, told me that confirmed sitings are reported for every county around me. The closest infestation she knows of is about 10 miles north of my five acres. 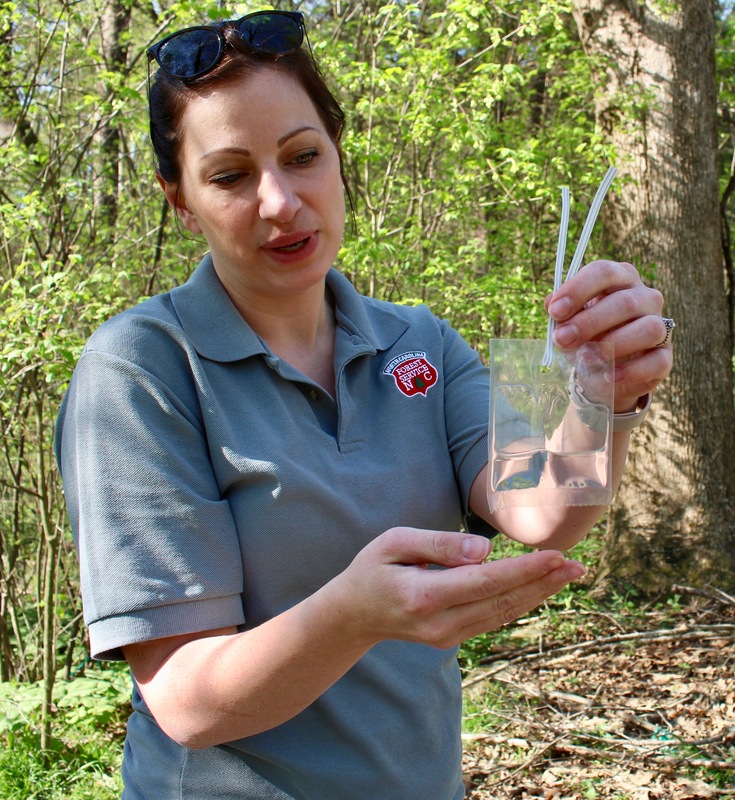 I had read about an experimental program Dr. Oten’s office is using to combat the Emerald Ash Borer (EAB) — the release of a parasitic wasp species native to the same part of Asia where EAB evolved. I believe the wasps used in NC parasitize EAB eggs by laying their own eggs inside EAB eggs. A couple of wasp species that parasitize EAB larvae also exist, as described in a US Forest Service publication on EAB biocontrols here. I assumed that my little five-acre patch of Piedmont would be too small for this experimental wasp release program, but a forester friend of mine encouraged me to give Dr. Oten a call, so I did. I was delighted to discover that Dr. Oten was interested in the stand of 37 mature Green Ash trees growing on the floodplain portion of my land. However, she cannot release wasps unless she is certain the EAB is present on my land, because the wasps will die without a food source. I have seen no evidence of EAB damage in my ashes <knock wood>, such as crown dieback and a yellowing of leaves (Here’s a link to a PDF from the Canadian Forest Service containing everything you need to know about detecting EAB damage. ), so Dr. Oten suggested that we set up a couple of EAB traps at the appropriate time. 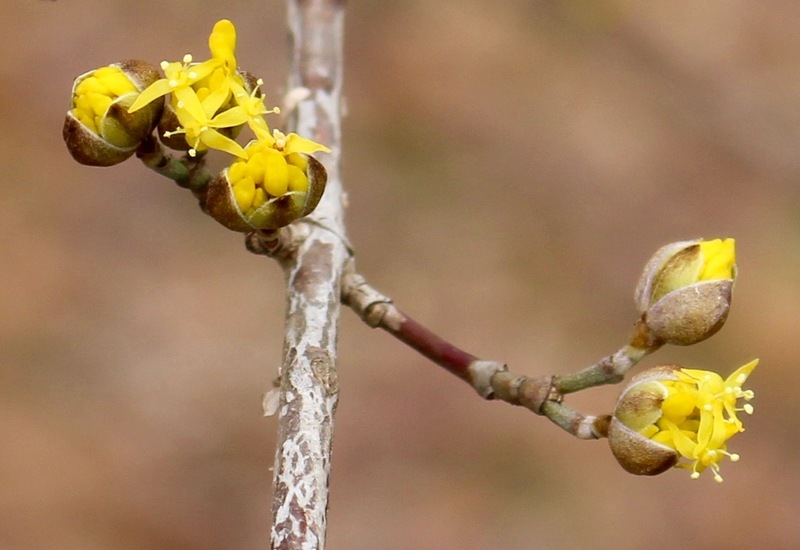 That time is early April, because that’s when EAB egg-laying occurs, and it is EAB eggs that the experimental wasps look for to parasitize. Dr. Oten begins preparing a trap by folding it into shape. On the morning of April 11, Dr. Oten arrived with two traps to hang on a couple of my ash trees. The traps are shipped flat in pairs that are stuck together by the sticky fly-paper like glue used to snag passing EABs. In the above photo, she has successfully pulled the two purple traps apart and has begun to fold the one she is holding so that the sticky glue is on the outside of the three-sided trap. The traps are purple, she told me, because research shows this color attracts EABs most effectively, perhaps, it is theorized, because young ash leaves often possess a purplish hue. Dr. Oten holds a bag containing the scent lure used to attract EABs to the trap. 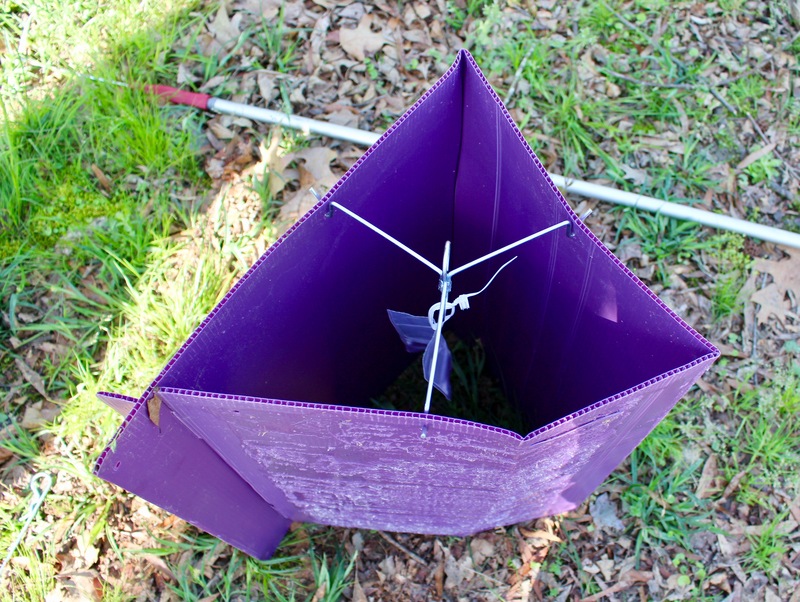 Besides the EAB-preferred purple color, traps also contain a bag of scent lure that is hung inside the trap. Dr. Oten is holding one of those bags in the above photo (click on any photo to see a larger version). 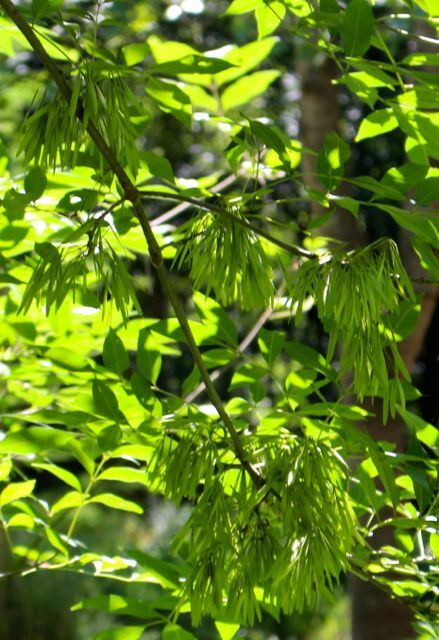 The scent emulates the smell of an ash tree in distress. 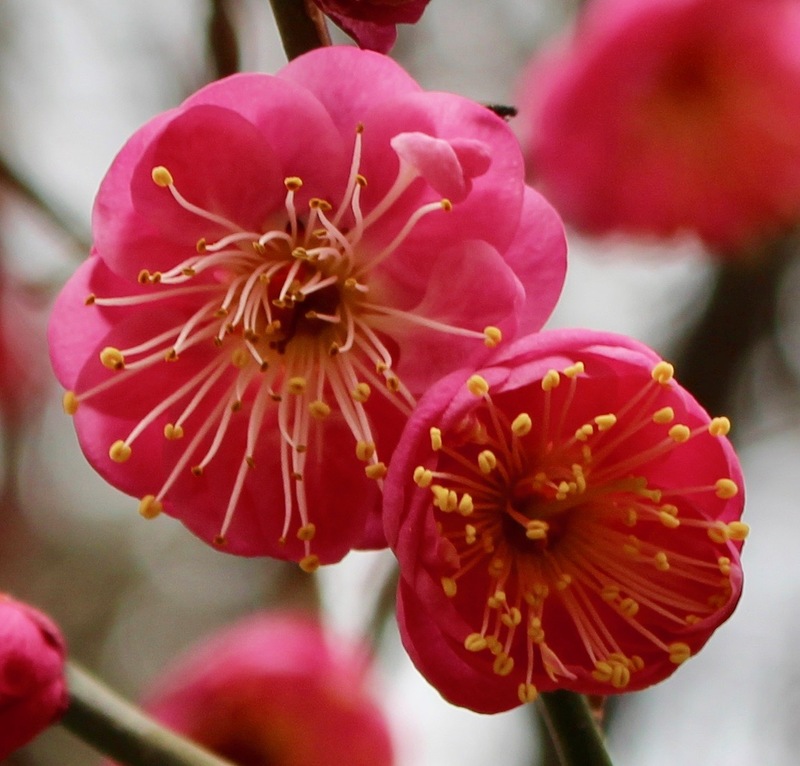 Many studies have confirmed that plants engage in sophisticated chemical warfare with their insect enemies. 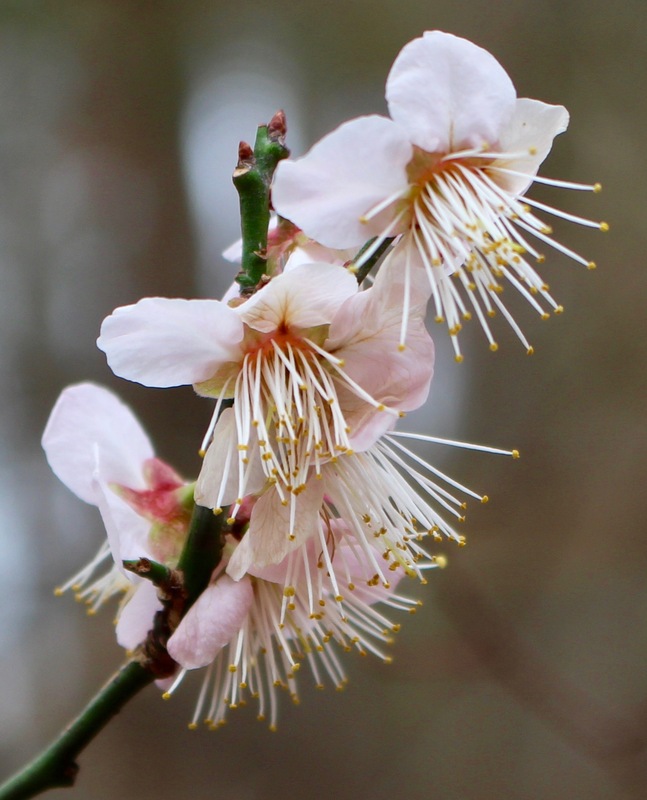 In many plants, when a plant is under attack, it emits a scent signifying its distress, which in turn stimulates nearby plants of the same species to begin producing chemicals that may help them repel invading insects. This doesn’t work for the ash trees with EAB, because North American ash trees did not evolve with this insect; thus, they have not developed any defenses against EAB attacks. A folded EAB trap loaded with lure bag. 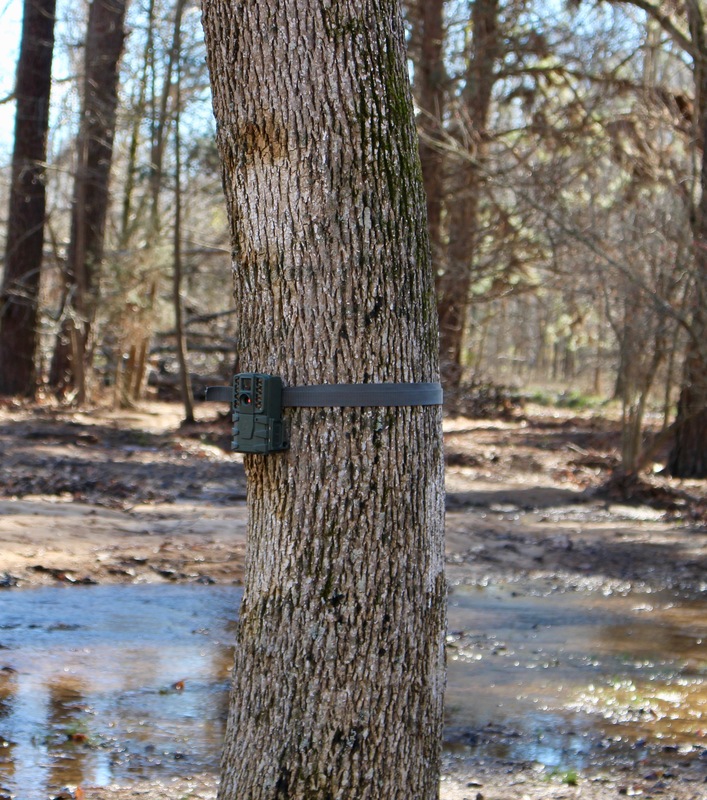 After she attached lure bags to the center of the EAB traps, Dr. Oten used the long extension pole in the photo to attach the traps to sturdy horizontal branches on two ash trees at opposite ends of my floodplain. This turned out to be trickier than you might think, because my canopy-size ash trees don’t possess many horizontal branches within reach of the pole. 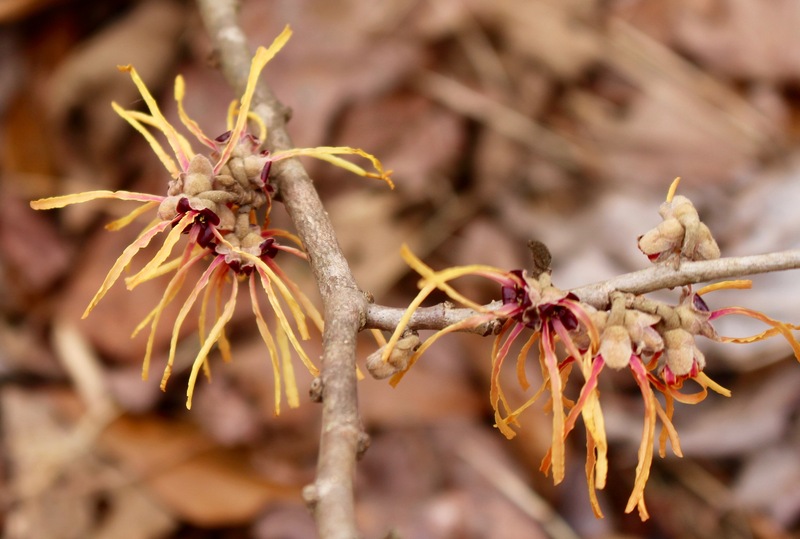 Dr. Oten’s first attempt to hang the trap was unsuccessful; the sticky trap fell into a stand of bladdernut shrubs, thus becoming adorned with bits of bladdernut leaves and flowers. Her second attempt with a different tree was successful. Slightly adorned with bits of bladdernut, trap#1 is successfully hung. 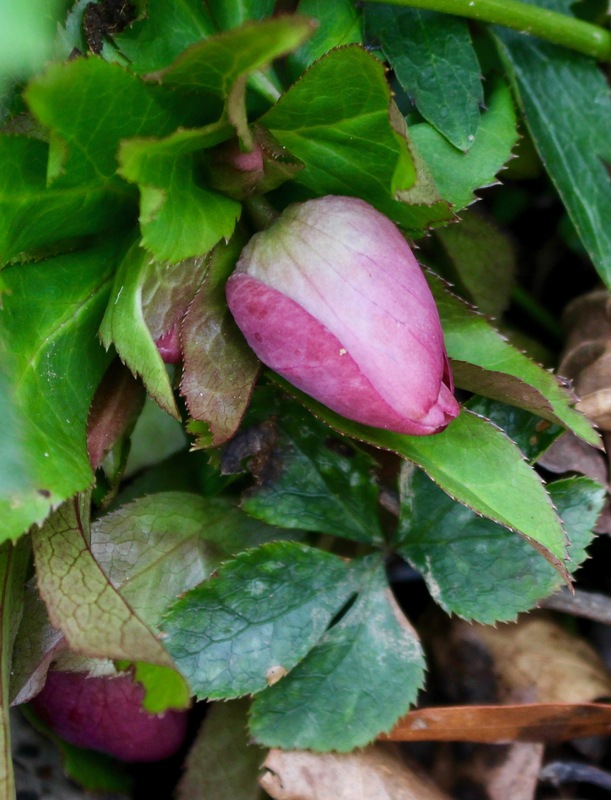 In the second photo above, you can see bits of bladdernut leaf and flower stuck to the trap. Dr. Oten said this will not interfere with the trap’s effectiveness in luring EABs. Next, we slogged through the mud to the far side of my floodplain, where Dr. Oten selected a second ash tree suitable for trap-hanging. This operation went more smoothly than the first, and the trap was soon hung. Dr. Oten raises the trap on her extension pole. Dr. Oten explained that EABs are actively flying and egg-laying in my area from early April until about June. She plans to return to my floodplain in about four weeks to inspect the traps for EABs. If she doesn’t see any, she will add fresh lure bags and return in another four weeks. If no EABs are found on the traps during that time period, it is less likely — but not impossible — that EABs have found my ash trees — yet. 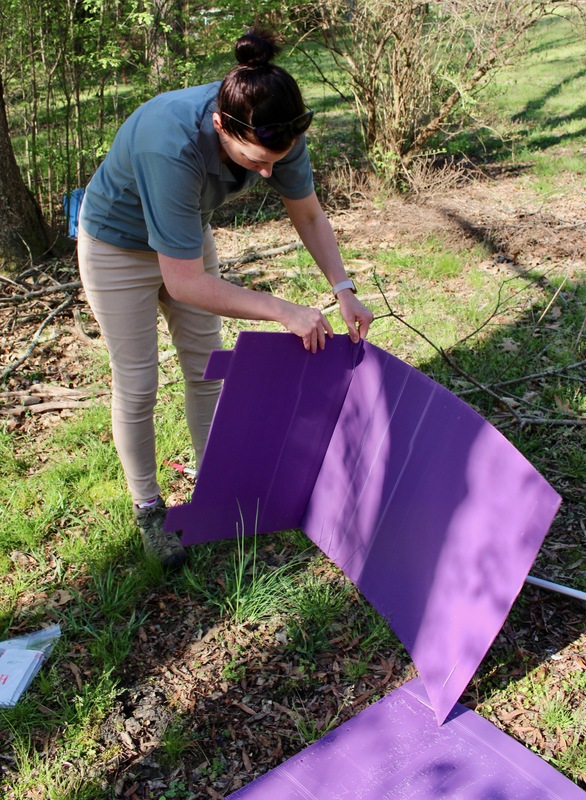 If she does find EABs stuck to the sticky glue on the purple traps, she will release parasitic wasps into that area. Note that the wasps are not expected to stop the demise of my ash trees. My understanding is that the introduction of the wasps is part of a long-game biocontrol strategy that may, perhaps decades from now, yield benefits. It is an entomological shot in the dark, as it were. Doing nothing but watch the ashes decline as the woodpeckers feast on their dying remains full of EAB larvae, leaving behind a floodplain almost fully devoid of its canopy tree cover. Having an arborist inject systemic poisons into the trees. 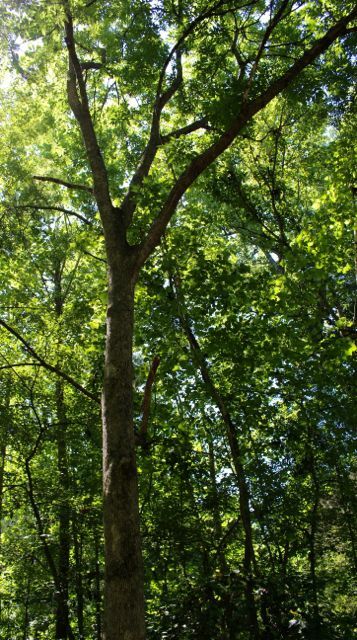 Besides the exorbitant expense (37 60-70-foot tall ash trees), the poisons kill any insect that takes a bite out of treated trees. In his classic book, Bringing Nature Home, Douglas Tallamy notes the number of different insect species that rely on native trees for food. For ash species, his number is 150; that’s 150 different insect species that rely on ash trees as a food source. So if you poison your ash trees to prevent EAB invasion, you will also potentially poison at least 150 native species of insects that rely on ash trees. Further, those now-dead insects — mostly caterpillars — would have fed myriad species of nesting songbirds, which also will likely now die from starvation. You cannot break one link in the chain of life without affecting every other link. I pray every day that humanity figures this out — and acts on that knowledge — before so many links are broken that the chain cannot be mended. I will deeply miss my summer Green Ash floodplain forest, where wild turkeys forage for fallen seeds every early summer. My spouse has been a proud federal employee for many years. No one works harder at his job. When he left his private-sector job for a federal position, his previous employer replaced him with three, count ’em, three employees, because that’s how many it took to do what he had been doing. When he is being paid, he is compensated for 40 hours/week, but he never puts in less than 60 hours/week, often more. His drive and energy are phenomenal, and many folks half his age have trouble keeping up with him. Now try to imagine what it does to such a driven, dedicated man to be told he is furloughed for absolutely no reason, except that politicians refuse to get past their egos. Imagine how he feels to be told that he must turn off the government-owned electronic devices he uses to do his work, and that if he turns them on while being furloughed, he will be breaking the law and can be prosecuted for the transgression. Imagine trying to find a constructive channel for all that frustrated drive and energy. 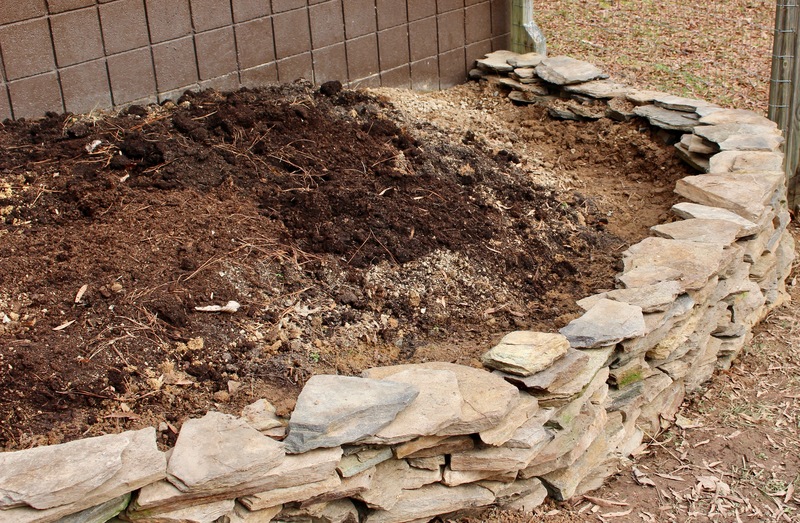 Wonder Spouse decided to use some of it one day last week to build a wall. I call it the Furlough Wall — irony intentional. This is a spot beside our house where we have been planning to build a flower bed for about 20 years. 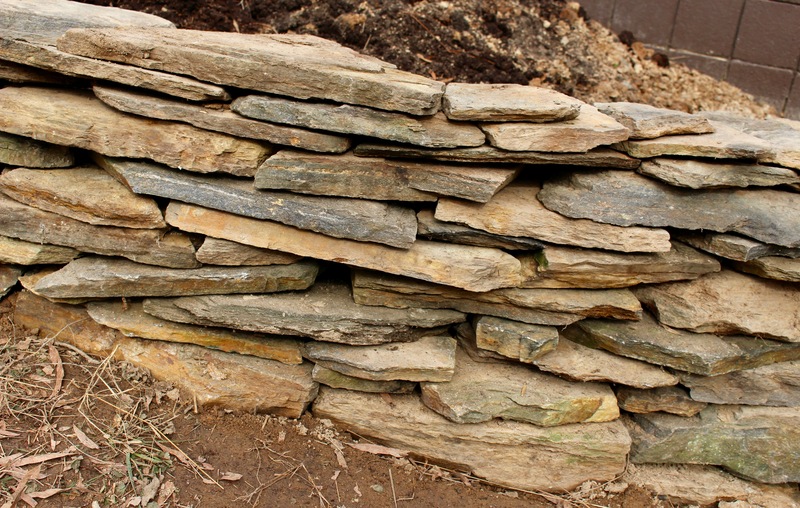 It was a low priority, because the slope of the area required that the bed be contained by one of the dry-stacked stone walls that Wonder Spouse builds for such areas. And, frankly, he hasn’t had time in the last 20 years to get around to it. But time is all he’s got these days, so one day last week, he decided to build the Furlough Wall. I helped him load the stones onto the tractor cart. After we got it to the spot, my job was to brush off every stone and lay them on the ground, so that Wonder Spouse could survey his options. This three-dimensional jigsaw puzzle was a fun challenge for a guy who automatically builds maps in his head as he moves about the world; spatial geometry is one of his knacks. We were both tuckered by the time he was done, and now I must wait for the next January thaw before I can finish filling the bed with aged compost from an old pile. But, after a 20-year wait, the bed will be ready for plants soon. 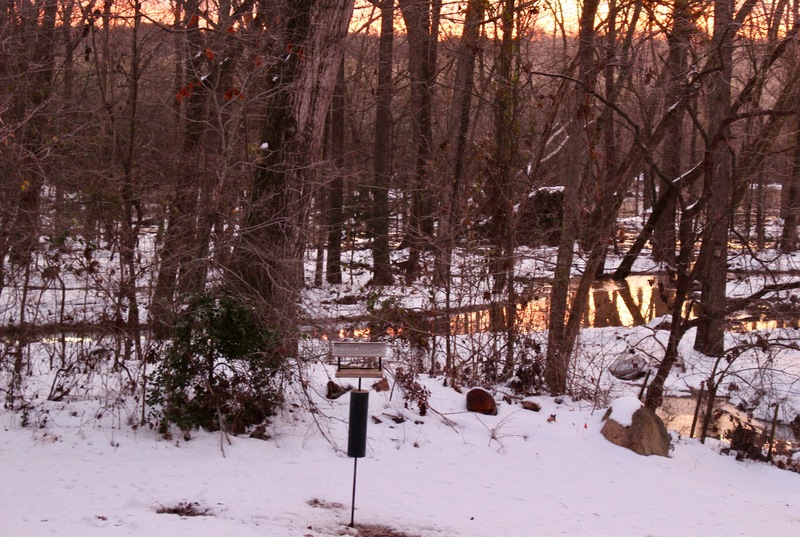 When the cold weather arrived, Wonder Spouse turned to writing and calling his congressional representatives. Their responses, as you might expect, have been nothing but political double-talk. Do they not see the heart-breaking stories about furloughed federal employees unable to support their families? Are they not worrying how long unpaid federal prison guards and TSA employees, forced to work as slaves without compensation, will be able or willing to protect the public from harm? Wonder Spouse and I are using money saved for house-maintenance projects to pay our bills; we count ourselves blessed to have that option. A continuing problem is finding ways for Wonder Spouse to put his drive and energy to productive uses. We still have some stones left. If this madness continues, I see more Furlough Walls in our future. During construction, we disturbed a slumbering narrow-mouth toad and a winter-brown green anole. Both species should be very happy with their new housing options. This April, Wonder Spouse and I will have lived on the same beloved five acres for 30 years. When we arrived in 1989, the previous owner had landscaped the property like a park. 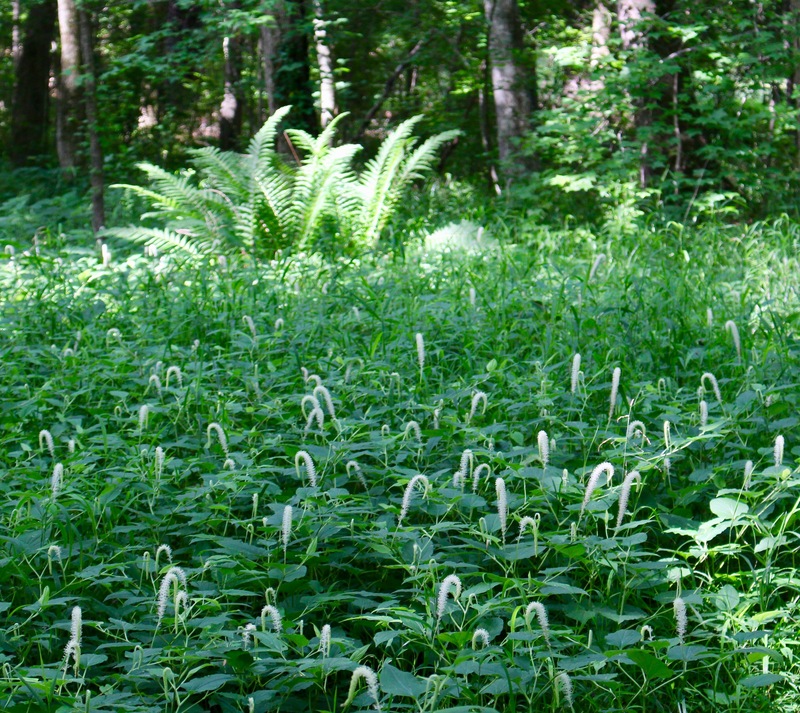 Naturally occurring large canopy trees were underlain by a carpet of grass. 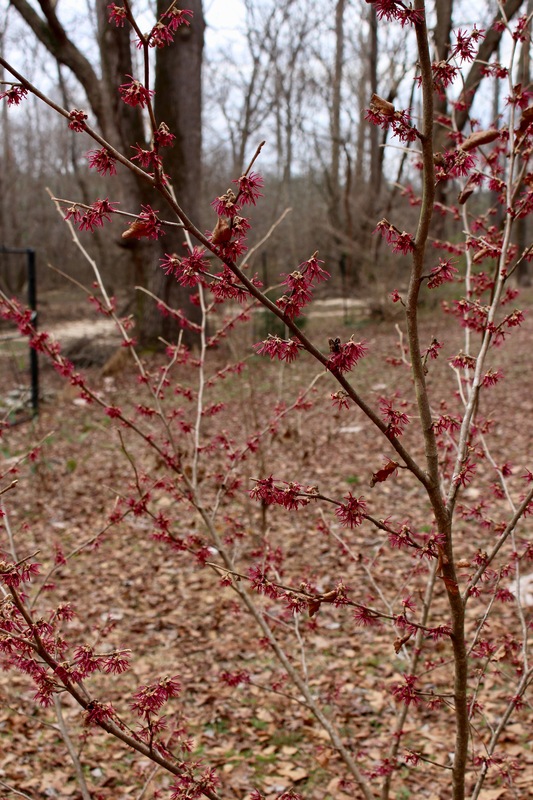 The only understory trees were dogwoods; the only shrubs, Asian evergreen azaleas and forsythias. We set to work slowly adding in the layers of a Piedmont forest that should have been there. Our ultimate goal is to eliminate the grass entirely, and in parts of the yard, the many happy shrubs and understory trees have done a fine job of shading out the grass. 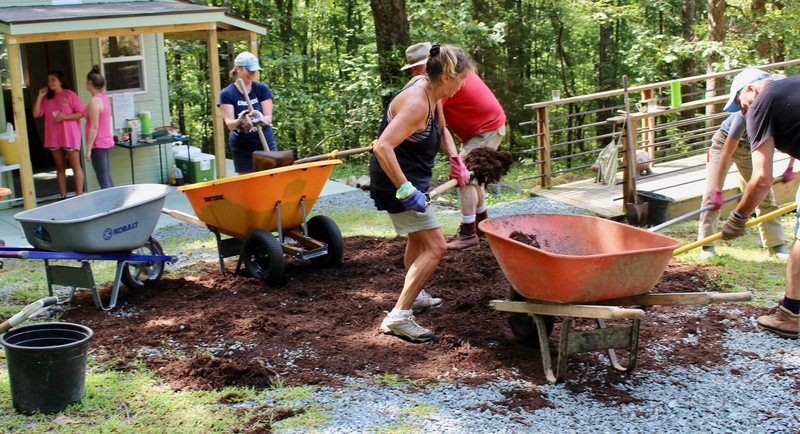 As we’ve added native trees, shrubs, and wildflowers, exploiting the many microhabitats on the property, native wildlife has responded with enthusiasm. We now share our lush, green (during the growing season) paradise with a diverse array of birds, amphibians, reptiles, insects, and mammals. This is our happy place, our sanctuary, our haven from human-wrought chaos in the world. 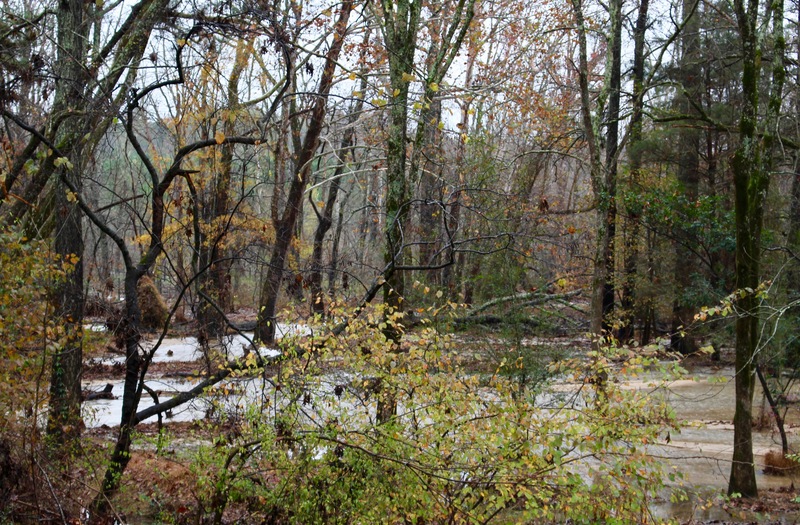 Because about two acres of our property is an active floodplain, terraforming floods have been part of life here. Transformation was always active, but last September, the floods were different. Hurricane Florence dropped over ten inches of rain on us — an amount we had never seen before. Her rains were followed by much, much more rain, resulting in a record rainfall year for my area. Excessive precipitation has continued; our floodplain area has been permanently altered by a transformation so stark that — if I could subtract the water — I might imagine myself treading the surface of Mars. 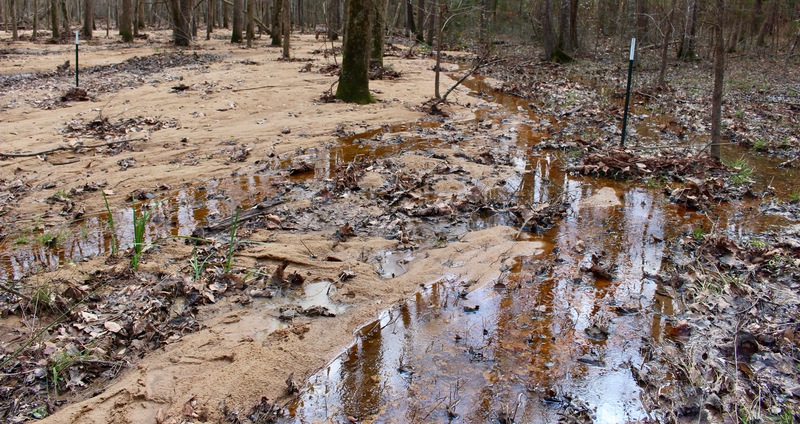 The entire wildflower area had been buried by many inches of sand and silt deposited by repeated flood events. I thought I was comfortable with the dynamic nature of our property; I embraced the changes, rolled with Nature’s whims, celebrated the plants and animals that adapted and changed over time. But this — this has been a test of my resiliency, and of the occupants with whom I share this space. I’ve generally found it helpful that my birthday is in early January. Turning another year older just after the calendar turns magnifies that whole new-year vibe. To put it in the vernacular, transformation slaps me up the side of the head every January. This new year, transformation feels more like a punch to the gut, but I am coming to terms with it. Any illusions I had about being the overseer of my landscape have been permanently cast aside. Like the fish flopping in receding flood waters, I was gasping for air for a while there. But as I watched those fish being gobbled up by patrolling great blue herons and a gang of garrulous crows, I realized that Nature has always been in charge. I will still grow vegetables at the top of the hill, where floodwaters never reach — if they don’t drown in rainfall. But otherwise, I think this year will be my Year of Watching. 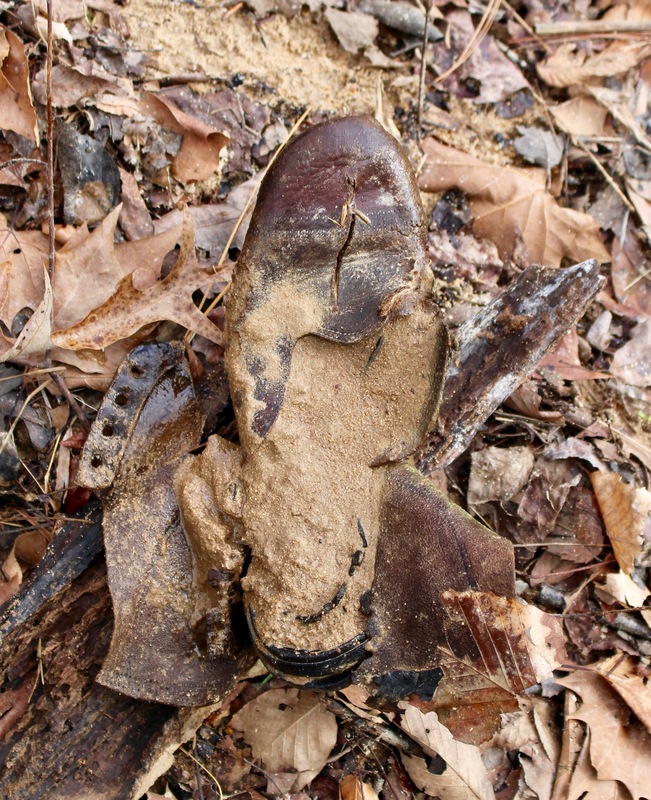 I will walk our land often, looking for clues about who is still here, what is thriving, what has disappeared. I will listen to the rattle of kingfishers as they celebrate the expanded wetland. I will watch and wait and ponder what time and transformation have in store for me. 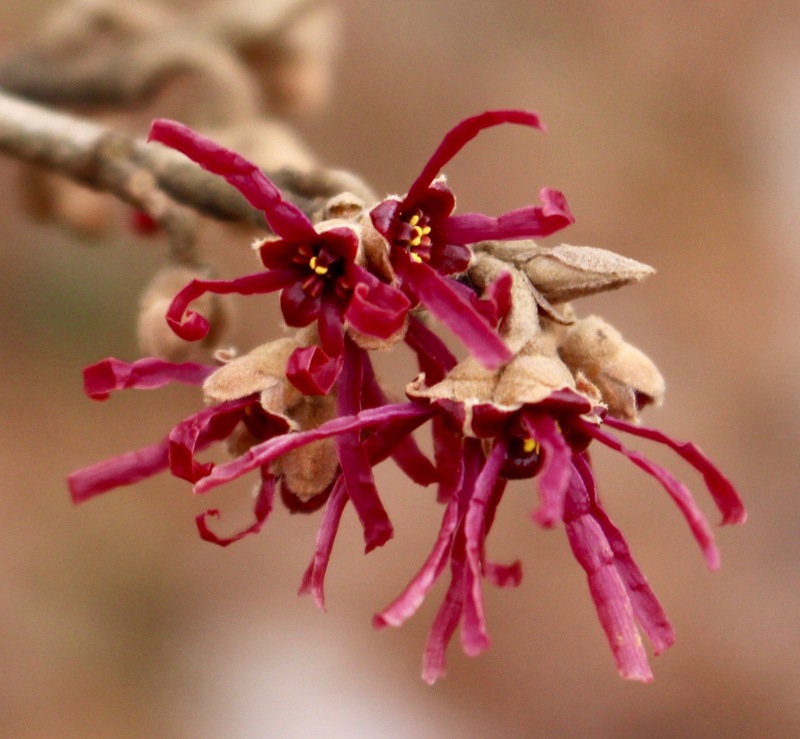 I’ll be teaching a class on nature writing this spring at the North Carolina Botanical Garden. Follow this link for details. Sunrise color at 7:34 this morning. The snow finally stopped falling last Monday afternoon – about 9 inches all told. This morning’s TV reporters chirped merrily about clear roads, and how all is returning to normal today. “But watch out for patches of black ice,” they cautioned. 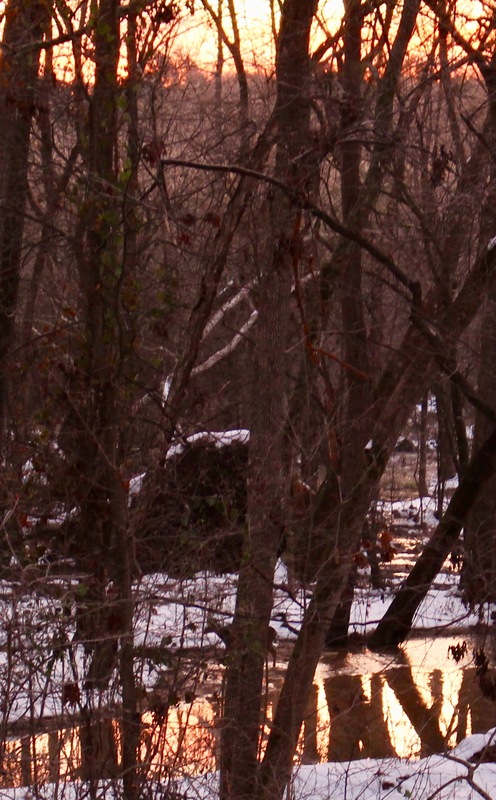 A doe pauses near the creek at 7:37. This is one of those times when I feel as if I live on a different planet. Our low temperature this morning bottomed out at 21 degrees Fahrenheit. Our long driveway remains buried in about 5 inches of snow, making walking to the garage an adventure. Snow has morphed into a solid block of ice; it will take Friday’s “warm” rains to eradicate it. Clicking on the photo to enlarge it will reveal one doe in the water and another who has not yet begun crossing the creek. But there are compensations for this icy inconvenience. Exhibit A: this morning’s sunrise. As if struggling against the cold, the sun only gradually warmed the sky, first painting it peach, then rose, and for a few brief seconds, deep red. Framed against a snow-covered landscape, the show was worth freezing on my back deck to snap photos as I listened to plaintive cries of yellow-bellied sapsuckers, rattling calls of kingfishers, melancholy songs of white-throated sparrows, and squeaky-toy chirps from brown-headed nuthatches high in the loblollies. Our overflowing creek chuckled softly — background to the bird bustle – then I spotted the does. Looming behind the doe is the massive rootball of a tall sycamore felled by the floods of Hurricane Florence. With obvious caution, they took their time placing each foot onto the cold-hardened snow, waiting for their weight to break through before moving the next foot. 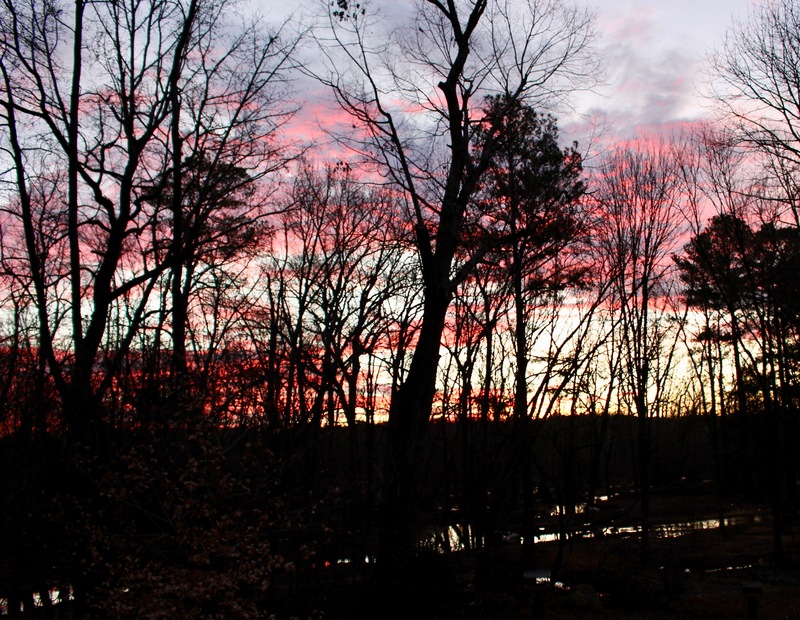 It was a slow trek across the ribbons of water criss-crossing the floodplain, now fire-painted by the rising sun. As each doe reached the edge of the creek, she paused, clearly reluctant to wade across a stream too wide to jump over. I could almost hear each one sigh as she delicately stepped into the rosy water, testing the creek bottom for solidity. 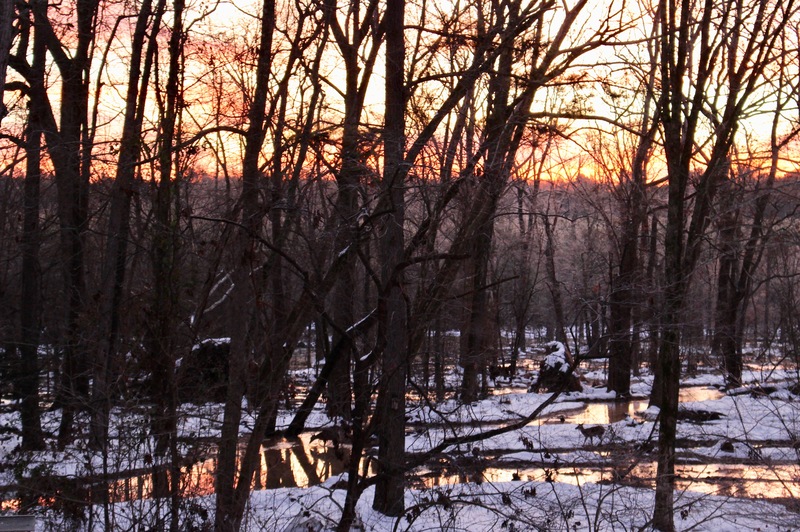 Each left a ripple of fire water behind her as she waded in slow motion to the far side of the creek, then plodded on through the snowy wetland on the other side. I am sure that local wildlife challenged by the snowy landscape would agree with me that life has not yet returned to “normal.” But while they perhaps didn’t appreciate it, I know I feel blessed to have witnessed this morning’s five minutes of magnificence. 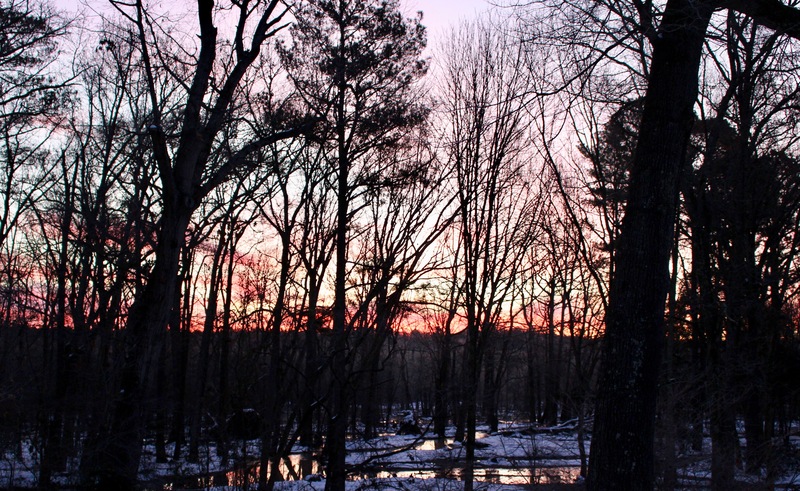 By 7:39, sunrise color faded as the last ripples created by the doe’s crossing dissipated. You are currently browsing the archives for the piedmont gardening category.